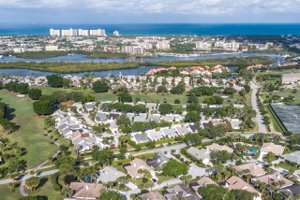 Homes for sale Jonathans Landing Jupiter FL offers it's residents a very well established tightly knit gated country club resort style community with one of the best locations around. Search homes for sale Jonathans Landing. Unique opportunities to live in a highly sought after resort style community with no required membership. Close to incredible beaches, amazing flavorful dining options, exquisite shopping, theater, marina, boat ramp. The Jonathans Landing community has many optional memberships available: Golf, tennis, fitness, social. Built at a time when prime land was more abundant, residents have access to large green space and common areas, with picturesque flowering shrubs and well-established trees adorn the lakes and fountains which give the club an aire of casual elegance usually found only in clubs further west. A spectacular waterfront location along the Jupiter Intracoastal. Homes in Jonathans Landing are an assemblage of townhouses, condominiums, single-family homes, and Intracoastal estate residences. 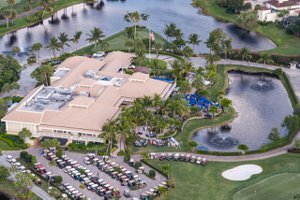 With approximately 600 acres Jonathan’s is a spacious and leisurely club and residents may use any one of the 3 main entrances which are gated with some leading over the meandering water via bridges. Another very interesting feature of Jonathans Landing is that the club has two types of sceneries both in-town and rural settings. Within the community or "In-town" you can access the main clubhouse where the fitness was recently remodeled providing every state-of-the-art amenity, Har-Tru tennis courts, golf shop and dining facilities. But hold on....that’s not all. A bit West of town, the club offers it’s Old Trail Golf Club with 2 more course choices, one designed by Arthur Hills and the other by Tom Fazio offering members three courses to choose from daily. Are you a boater or fisherman? Many options are easily available for you to purchase a home on the water or join the marina and keep your boat nearby. Find out MORE JUPITER AREA INFORMATION HERE. 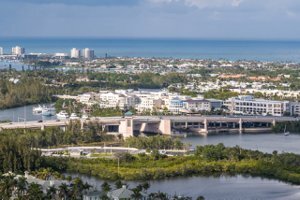 Within a few short minutes you can be out the Jupiter Inlet and on your way towards a great day of fishing in the beautiful Atlantic Ocean. Are you in search of a new home? 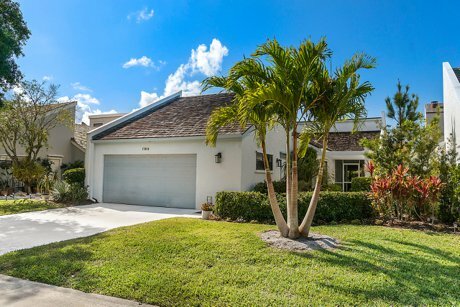 With a collection of 27 warm and inviting villages, each with their own distinct charm and feel: There are over 1200 homes within the community, so there is absolutely something for everyone's taste while looking for a club home in the Northern Palm Beach County area. 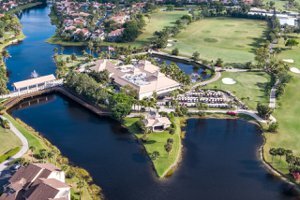 Choosing a beautiful weekend getaway, elegant winter home or an extravagant Intracoastal waterfront estate, your options are abundant when considering the Jonathans Landing community.